The drive to the tip of the horn of Africa is one of the world’s truly great roadtrips. Leaving Cape Town, it winds past bays of astonishing beauty and colonial architecture of a chain link of fishing villages. 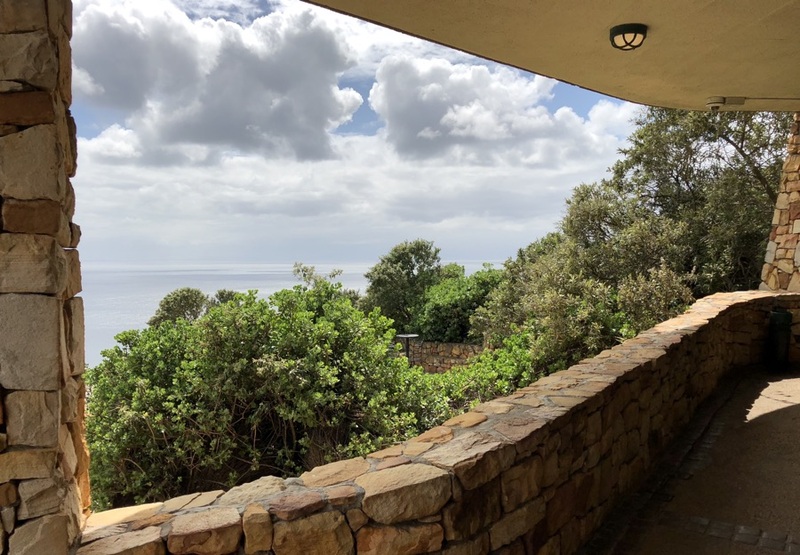 From the soaring headlands and dramatic escarpment of the South African coastline, everything just seems to be bigger, including the wildlife. From the road itself, whales and their newborn calves can be seen at every turn. Huge lion seals loll on top of each other on the port marinas of towns such as Fish Hoek. We don’t see them (thankfully) but shop front signs such as ‘Great White Surf’ point to the iconic predators which also thrive in this pristine environment. The large troops of local baboons are so dominant that they have their own roadside billboards, warning the unsuspecting visitor that they are officially ‘dangerous wild animals’ so should not be fed nor approached. Such is the fear the locals have for the Chacma baboons that electric fences are a regular part of infrastructure in the Cape region. The Cape is part of the National Park system of South Africa and sits within the Table Mountain National Park. 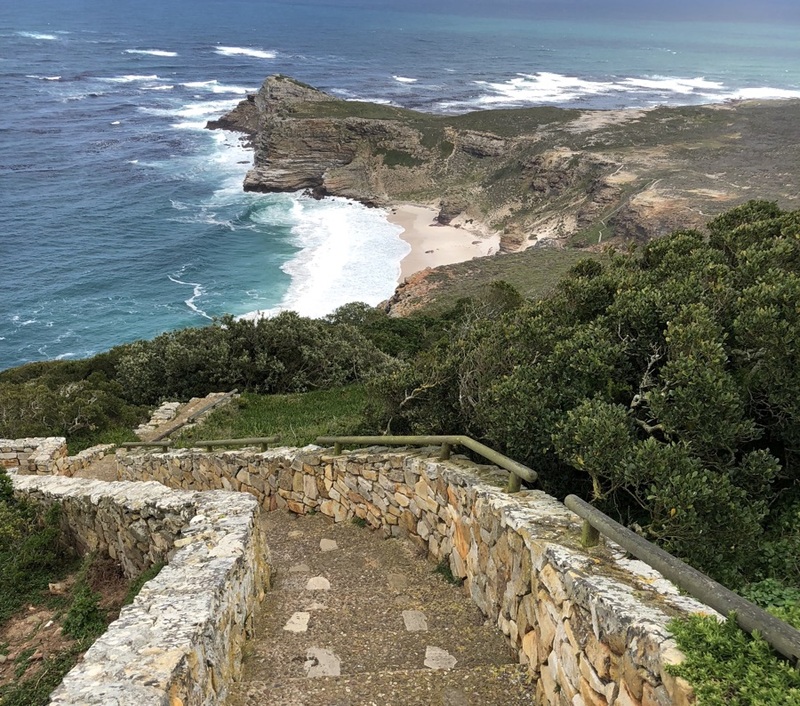 The UNESCO Cape Floral Region World Heritage site is also known as the Cape Floristic Kindgom, one of the world’s six ‘floristic kingdoms’, so named for the vast species of plants that have been found within them. 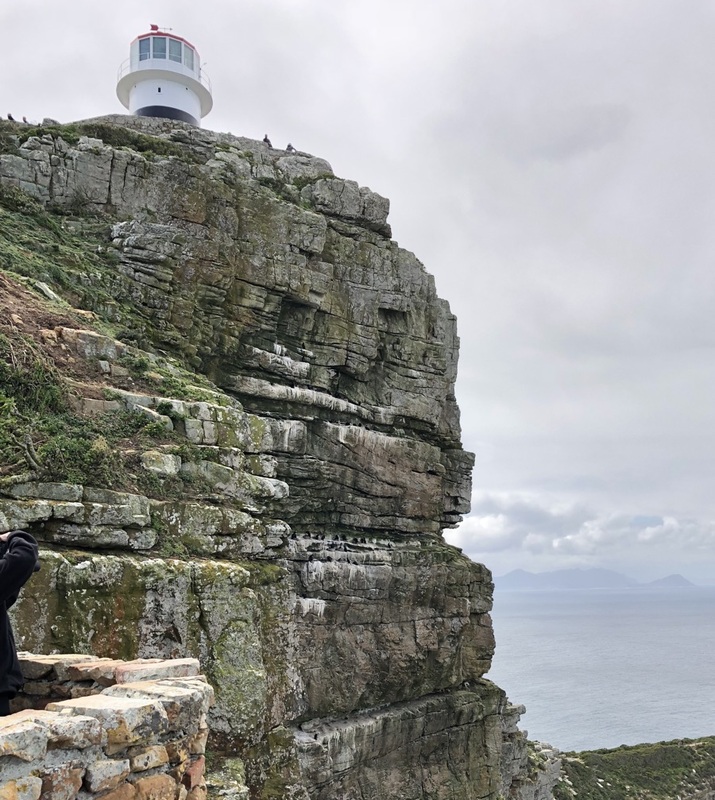 Cape Good Hope’s bounty is the richest of them all with more than 2,000 species of native plants, some which can only be found in this Cape Point region. Silver trees, rare wild fynbos vegetation and the giant king Protea can all be found within the park. The wild flowers are breathtakingly beautiful. For this is, by any measure, a sort of flower nirvana. Calla lilies grow wild in amongst the indigenous fynbos bush and huge bursts of magenta paper daisies sprawl across the succulent ground covers in cluster patterns of varying intensity. Once lion and leopard country, now, the larger animals such as ostrich, eland and mountain zebra can still be seen. And of course the chacma baboons, who enjoy regular sunbaking on the warmth of the asphalt roads that run through the greater Table Mountain National Park itself. 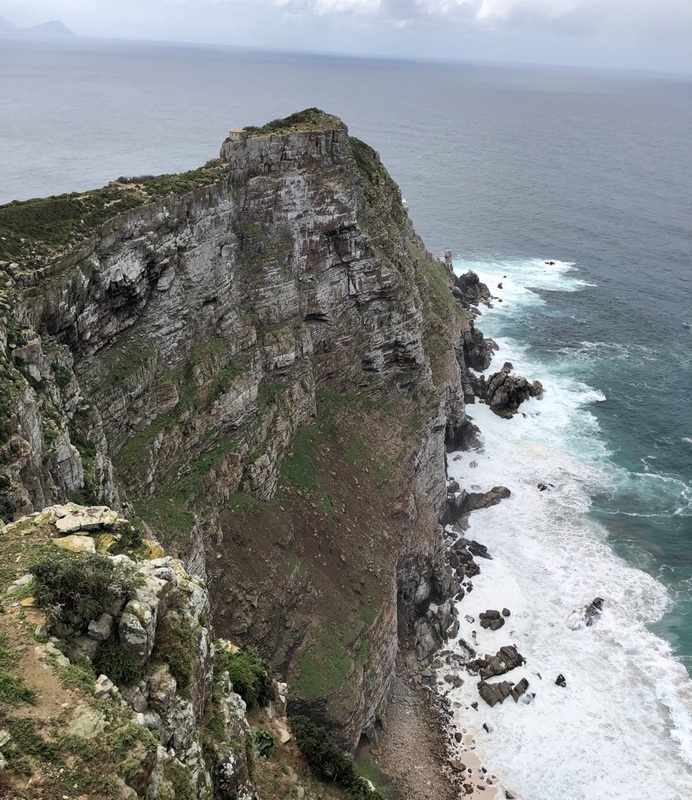 At the Cape Point lookout, overlooking the stunning Diaz beach, the juncture of the two great oceans, The Atlantic and The Indian occurs at the southwestern point of Africa. The name ‘Good Hope’ is derived from the optimism the colonialist traders had of the riches to be made as a result of the colonization of Africa, reflecting in the seafaring routes than led to India. At the site that is known by yachtsman for some of the wildest storms on the planet, huge numbers of seabirds, including over-sized red, white and brown wild ducks can be seen everywhere. Paths all the way to the famous lighthouse and down to the water’s edge allow for some intense trekking, while the cliff site itself shows how even a naturally spectacular setting as this can be enhanced by the creative use of stone construction in the landscape.